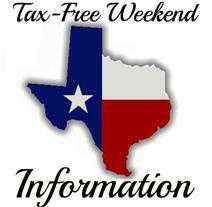 Texas Emergency Preparedness Sales Tax Holiday 2018 Shop Texas Tax Free during the Texas Emergency Preparedness Sales Tax Holiday 2018. 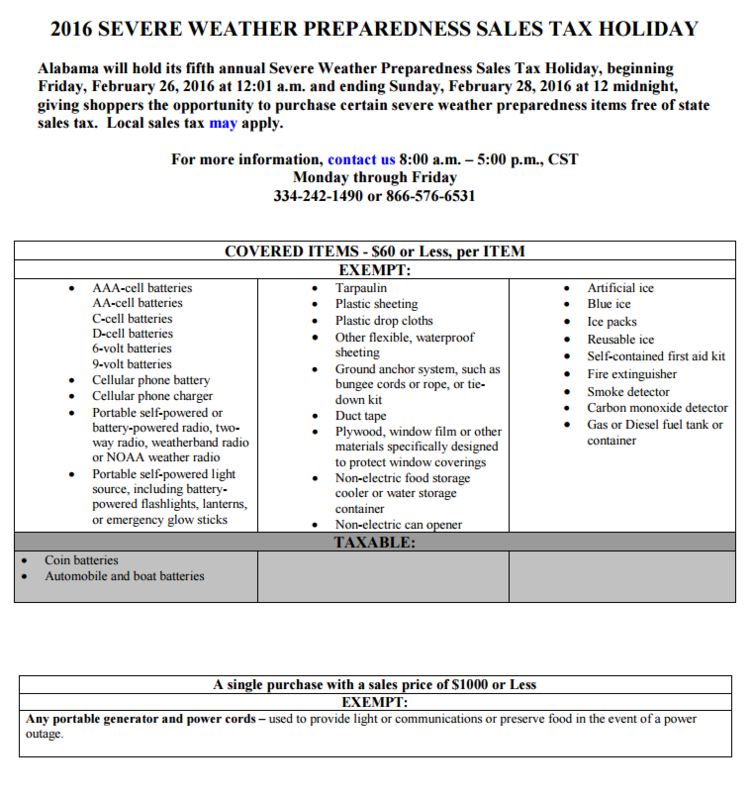 Full details, dates, and items list below. 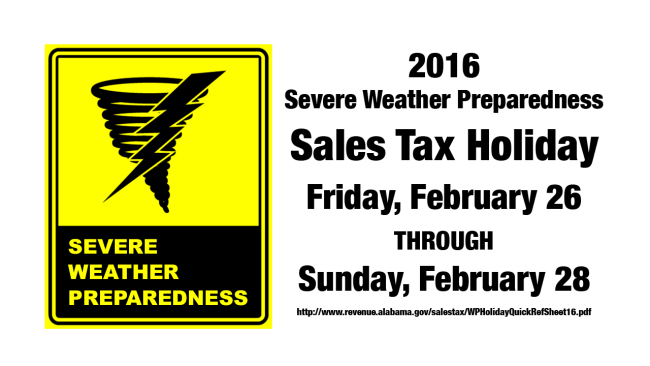 2016 Alabama Severe Weather Preparedness Sales Tax Holiday Starts Today! 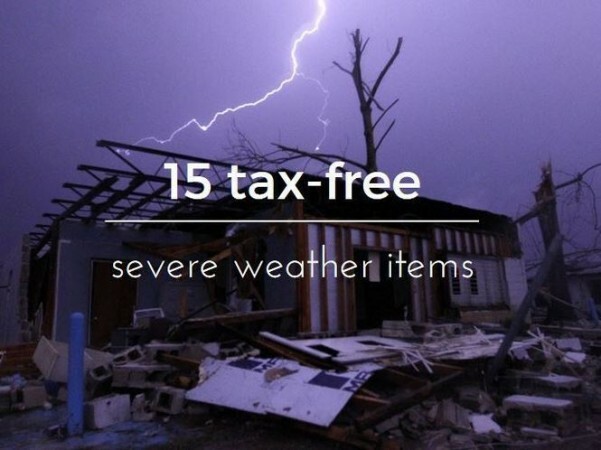 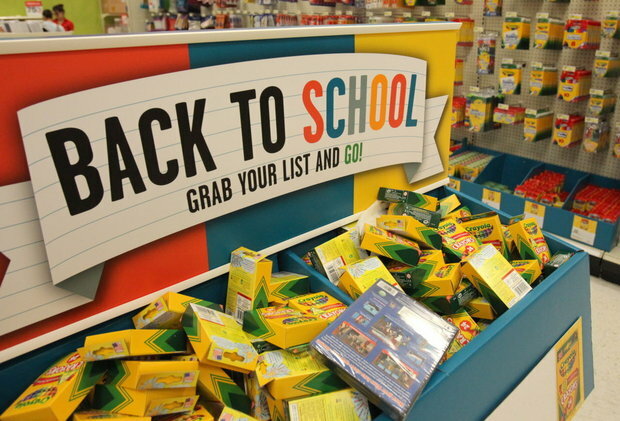 drewpenn February 26, 2016 June 29, 2016 No Comments on 2016 Alabama Severe Weather Preparedness Sales Tax Holiday Starts Today!